Dot’s dad brought her out to the corridors after dinner at Dot’s grandma’s place. 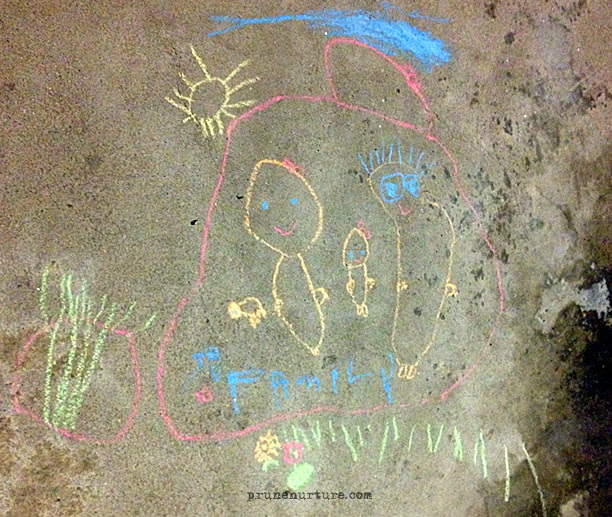 He gave her a few colored chalks and she started to doodle on the floor. I like the focused-look on her face when she is doing something that she likes. How I love her final artwork on the floor! When she was done with her drawing, she would enthusiastically explain to us what she had drawn. She even includes Max, our hamster, as one of the members of our family. 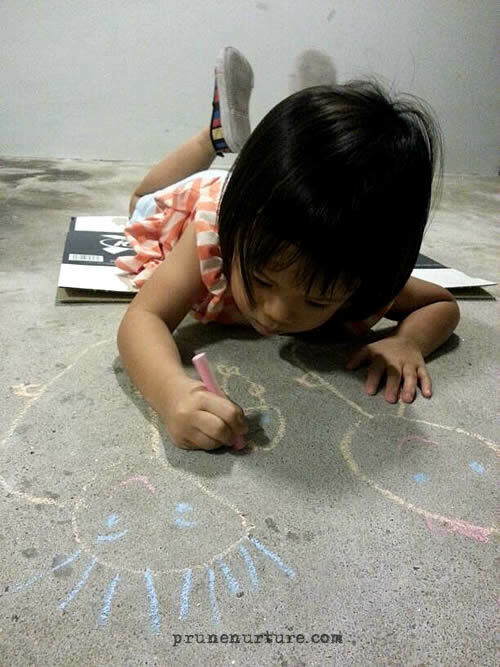 Till now, there are still colourful traces of her artwork on the floor. Probably, her grandma thinks it’s a pity to just wash away Dot’s masterpiece.